There are many Word Birthday Card Templates available for download, so you don’t really have to spend a lot of time on your computer creating these kinds of cards at all. 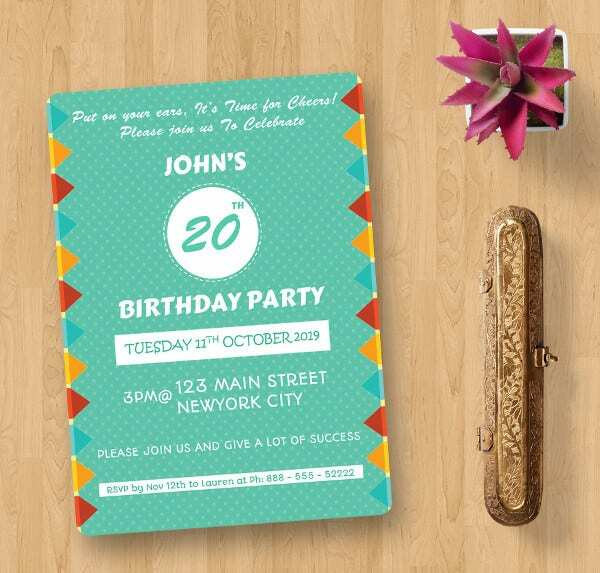 Although many people still consider creating the sample cards themselves, you should download an already made piece because it can not only save you time and money but it also enables you to save your energy and even send the birthday greetings and invitations on time. The following are the best templates to use before the close of this year. It would be great if friends come around to cheer you up as you add one more year of your existence. In that case, you should consider using this template to send them special greetings. Use this birthday card to send birthday greetings to friends, colleagues, or family members who are celebrating their birthday parties. Write a custom message on the card and don’t forget to say, “Happy Birthday”. > Who should use the Birthday Card Templates? Birthdays are often full of surprises. If you are a man or woman of the people, friends, colleagues, and family members will surely want to be a part of your birthday party. Each of these individuals is likely to come with a birthday flyer, a birthday gift card, a birthday greeting card, or birthday anniversary cards. You may also see Free Birthday Cards. Moreover, people who have birthday celebrations often use these cards to send invitations to friends and family members who shouldn’t miss the cheery moments. As such, birthday cards are not for specific persons, and this means anyone can use them – any day, any time. > What are the uses of Birthday Card Templates? Birthday cards are pocket-friendly templates used to invite friends over to a birthday party. The party can be for kids, young adults, the aged, or a newborn. 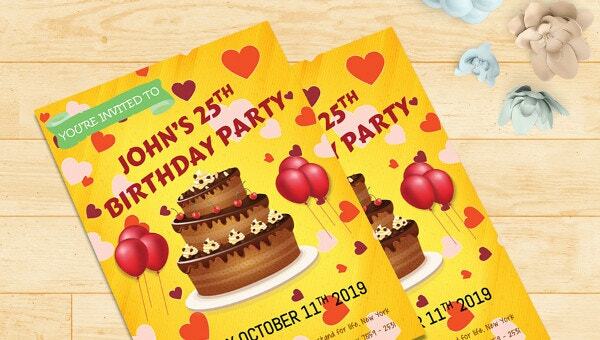 Those who use these cards for invitations often hope that people will come to the event and make the birthday as beautiful as it always should be. There are many invitation cards for birthday and they feature different design layouts, unique fonts, and sometimes, commercial free fonts. But they all have one common function: invite friends over to the party. Free Greeting Cards, on the other hand, are those used to congratulate friends and wish them the best that life can bring in their new year. If you know someone who is celebrating their 1st birthday, you can and should use this template to send them the special birthday greetings. The template is easy to customize. > What are the benefits of the Birthday Card Templates? Everyone is always looking online for something free, and birthday cards are often sought for on the web. It is important to remember that one of the greatest benefits of these templates is that they are all free. That means you are not only able to download these templates for free, but also you have the liberty to share them with friends, family members, and colleagues at the place of work. You can also see Funny Happy Birthday Cards. Birthdays are often our favorite times of the year. If you have not celebrated a friend’s birthday or sent them birthday greetings in a while, you should consider doing so now, and the best way to express how great you feel for your friends is to send them the best birthday greeting cards.